With American Airlines flying in and out of Denver, most Colorado residents use the airline service when traveling around the country. Many are unaware, however, that American Airlines recently had its plan to exit bankruptcy approved by a federal judge. The airline’s plan was granted approval in mid-September, as it plans to merge with US Airways. According to The New York Times, the proposal was confirmed nearly two years after American Airlines filed for bankruptcy. As part of the plan, the company agreed to merge with US Airways, a move that received the backing of creditors as well as its three main labor groups. The merger did not go unchallenged, however. Antitrust regulators filed lawsuits in August to block the merger on the grounds that it would harm competition and passengers. The airlines have both said they will fight the challenge. A trial is scheduled for this month before a separate federal court in Washington, D.C.
American Airlines had initially vowed to exit bankruptcy as an independent airline but eventually gave in to the financial pressures. 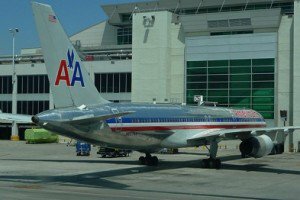 Both American Airlines and US Airways insist the merger is necessary to compete with Delta Air Lines and United Airlines, both bigger carriers that completed mergers of their own recently. Obviously, the bankruptcy of large-scale corporations like American Airlines is not exactly the same as that of individuals, but I feel there are lessons here that many Colorado residents in financial trouble can learn. For example, the American Airlines bankruptcy shows that any company or individual can experience financial difficulties and need to escape overwhelming debt. There is also the recognition that adaptation and help was needed, as American Airlines saw that they could not emerge from bankruptcy alone. If you have any questions about the bankruptcy exit plan of American Airlines or are looking to get out from under the weight of debt, contact an experienced Loveland bankruptcy attorney today for help.